When I speak to other parents they often tell me their biggest wish is to have a good night’s sleep. I’m talking hit the pillow and sleep for a full 8 hours (or more!). I have been extremely lucky to have had the opportunity to test out two extremely comfortable mattresses in the past years. The Douglas by Novosbed and most recently the Endy Mattress. Disclosure: I received an Endy Mattress in exchange for this review. All thoughts and opinions are always my own. If you’re shopping for your next bed, read on. 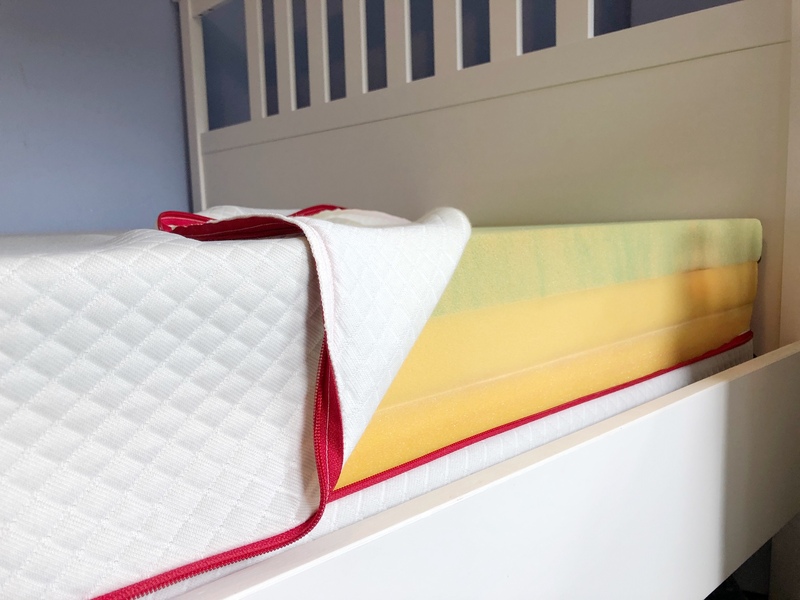 I’ll outline a few things I love about both these mattress-in-a-box products! We received the Douglas almost two years ago. It was our first mattress-in-a-box experience. I loved how easy it was to unpack and set up. 1 > The Douglas mattress is medium firm. 2 > The top layer is made of ecoLight® cooling gel foam. 3 > The cover is made of eco-friendly Natural Eucalyptus Fabric. 4 > The Douglas mattress is durable. The Douglas by Novosbed has kept its shape and comfort over the two years that we’ve had it. The only thing I’ve noticed is slight discoloration in the foam from when we first received it. This obviously does not affect the comfort level at all. I’m so happy that my daughter enjoys this mattress. 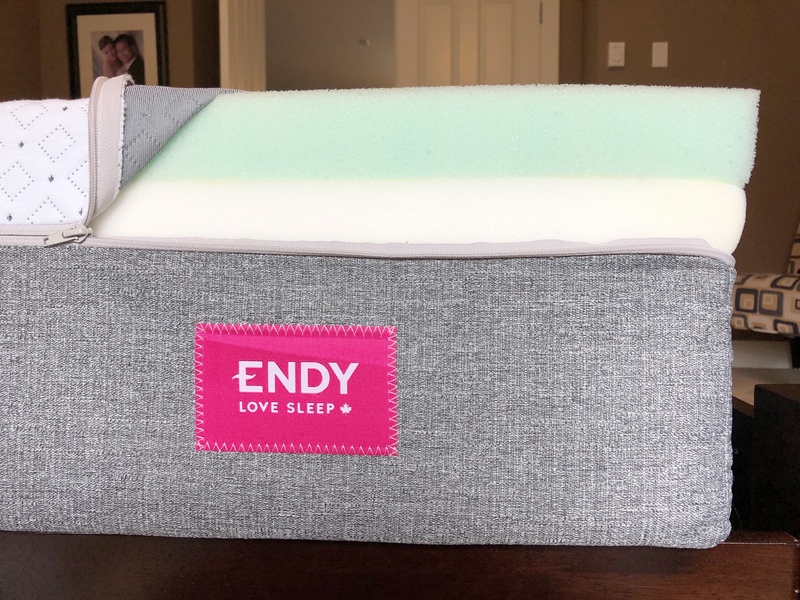 My husband and I have been sleeping on our new Endy Mattress for almost 2 months. I have loved this mattress since the first time I slept on it. Like the Douglas, it was easy to set up and was ready to enjoy right away. 1 > The Endy Mattress is made in Canada. 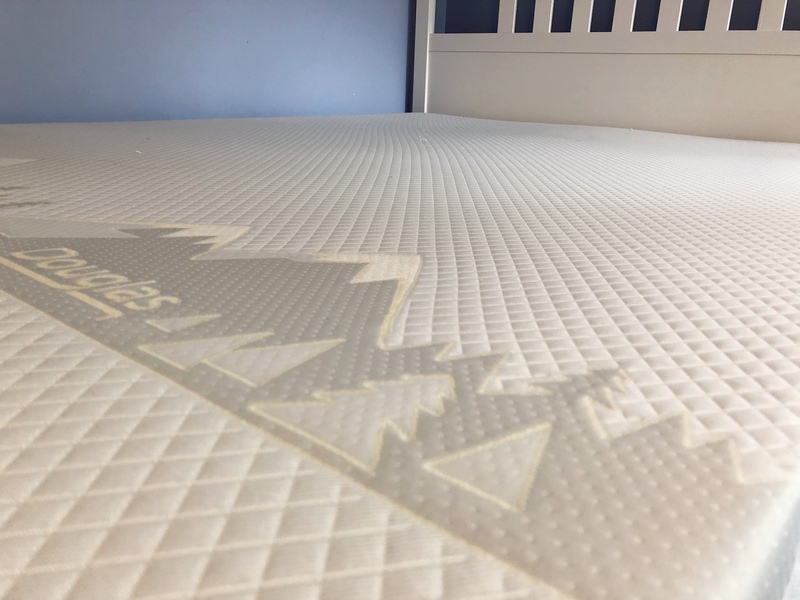 2 > The Endy Mattress contains Higher Density Foam than it’s competitors, which offers better support. 3 > It is firm yet squishy. 4 > It offers great temperature control (I haven’t been too hot or too cold since I’ve been sleeping on this mattress). 5 > The Endy Mattress has reduced motion transfer. I can barely feel my husband when he moves in bed. 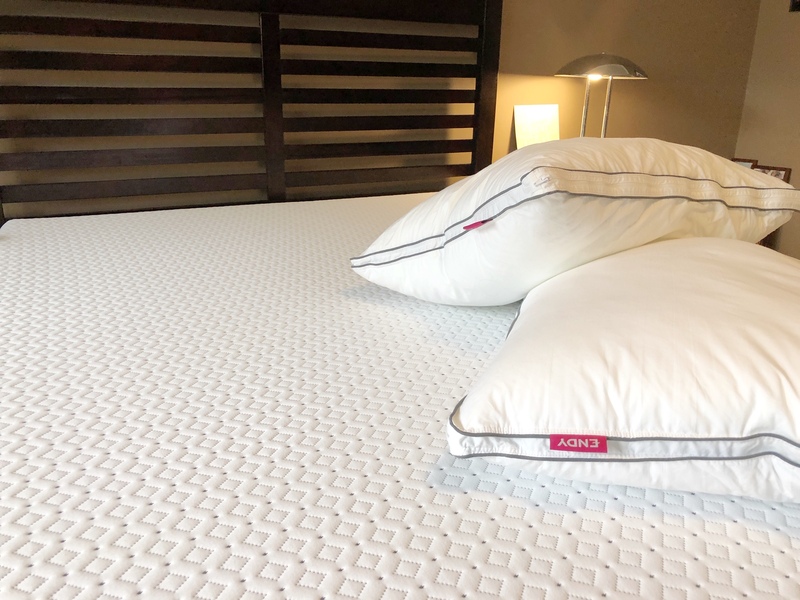 My husband and I have had the best nights of sleep since we’ve had our Endy Mattress. I feel comfortable sleeping in any position on this mattress (side, back, and stomach). I look forward to going to sleep on this mattress every night because I know I will have a great sleep. The Endy Mattress offers great support. I find it firmer than the Douglas by Novosbed mattress. In my opinion, both products are revolutionary. It’s incredible that this day in age we can order a reliable mattress online, have it delivered to our door and be able to set it up in minutes. My husband and I are keeping the Endy Mattress in our room and have given my daughter the Douglas by Novosbed indefinitely. I love the firmness of the Endy Mattress. It is extremely supportive and comfortable. I never imagined enjoying a foam mattress so much. I look forward to going to bed every night. I wake up every morning feeling rested and in no pain. I have already told so many friends about the Endy Mattress. I’ve even encouraged them to jump in my bed when they come visit! I strongly believe it’s a great product and I cannot imagine anyone not being satisfied with it. The Endy Mattress now offers a 100 Night trial. Order your mattress, try it out for 100 nights and if you aren’t happy with it they will come pick it up and offer you a full refund. I’d love to know, what do you look for when shopping for a mattress? 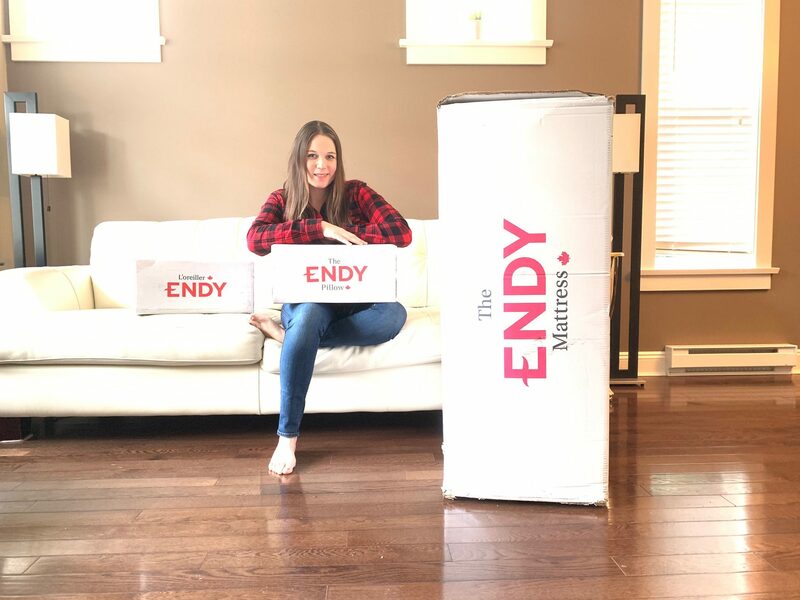 Do you think an Endy Mattress would be a good choice for you? Oh wow. Reduced movement transfer would be a big one for us. And I agree about having good support that’s still “squishy.” I’ve grown accustomed to firmer mattresses, but I don’t want to feel like I’m sleeping on a wooden plank. This mattress looks wonderful! I have been thinking about a foam mattress after yours and many other reviews I’ve seen lately. LOVE the video. Well-done. We have two endy’s in our house and we love them! Best sleep we’ve ever had! A new mattress is on our wish list and we’ve been looking into these. Sadly I’m finding it’s just not right for us, but ugh that ease of being able to get the mattress up our townhouse stairs! We have a DOUGLAS BY NOVOSBED matress that we have been very happy with. We have not tried the Endy, but it looks and sounds good too. I love that we can order mattresses to our door. Have to check these two out, thx. Limeapple 12 Days of Christmas Sale!